Using your smartphone while travelling not only drains the battery a little quicker but also can sometimes be a little tricky to view correctly. One new gadget created by Multi Mobile Technology has been designed to provide a number of features in one portable device. The smartphone Bluetooth speaker and power pack allows hands-free entertainment, whether you are in an aeroplane, car or hotel. Watch the demonstration video below to learn more about its features and benefits. ￼￼Get a Smartholder Bluetooth speaker powerbank & multi-cable for the lowest price possible and share with everybody. A fantastic hands-free device with great Bluetooth sound and integrated powerbank that expands the use of your phone in all kind of situations. High quality and performance. Everything you need at home or while traveling. Comes in two color options, brown and black. Use the Smartholder to watch a movie without holding your phone with your hands. 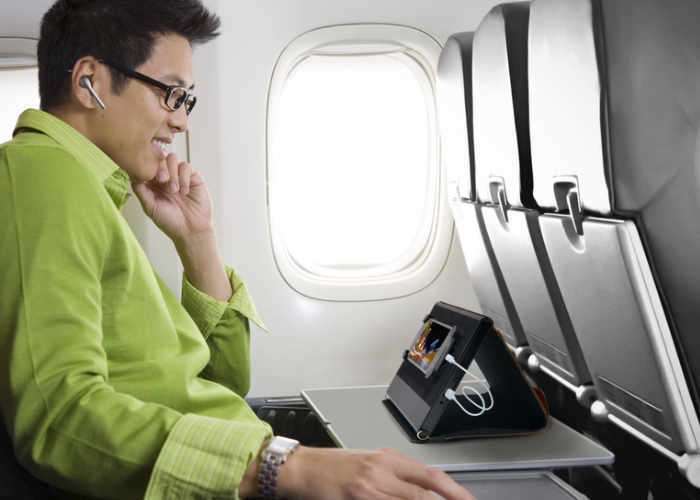 Answer e-mail, surf the internet, video chat hands-free. Great powerful sound from the bluetooth speaker. Charges your phone two times with its integrated power bank.